Duo Pendant Earring in silver/clear. 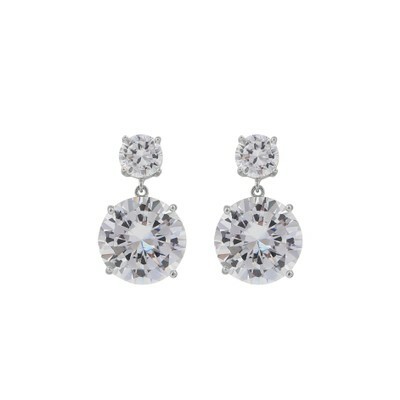 Elegant earring in silver with rhinestones. A smaller pendant earring that you can mix and combine endlessly.